« Genesis Drops New Music! 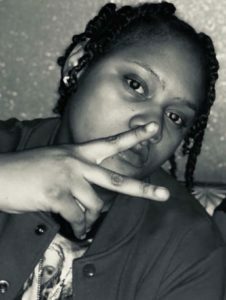 Long Island, NY’s hidden gem Brienna Ellerby better known as Empress Lyricis is an American Hip Hop recording artist & songwriter. She was Born in 1993 & raised in Long Island & Queens and spent time in both cities most of her life increasing her fanbase everywhere she goes. She got her name due to her strong sense of identity that attacks with pure skill and creativity and her powerful rap skills. She is setting the bar high for other rappers in this over-saturated industry. Check out her latest single “Don’t Trust Nobody”(Link Below) available on all major streaming platforms.